Watch the Wizard at work in the studio. Visit the shop to watch the process live, and place a pin on our visitor location map! 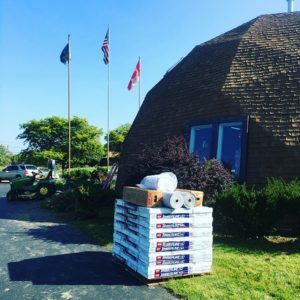 New roof for the domes! 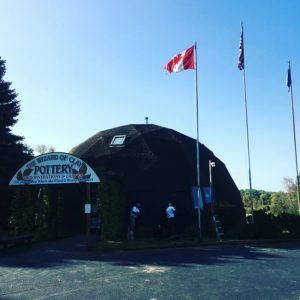 When I was 11 years old, back in 1979, I watched my Father, the original Wizard, build the first 4 of 7 geodesic domes that house The Wizard of Clay Pottery. I remember him saying that the roof should last for 40 years. Somehow I knew way back then that I would be the one to re-roof the domes. That day has come. We are starting with the main store dome and will do one per year for the next few years. I’ll get up there for part of the project, on days I’m not throwing. I love you Dad, don’t worry about a thing…I got this. 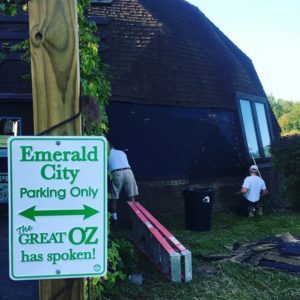 Stop by the shop to see the progress!